April 3, 1513 Ponce de Leon discovered the land he called La Florida. He claimed the area for Spain. That makes Florida 500 years old. 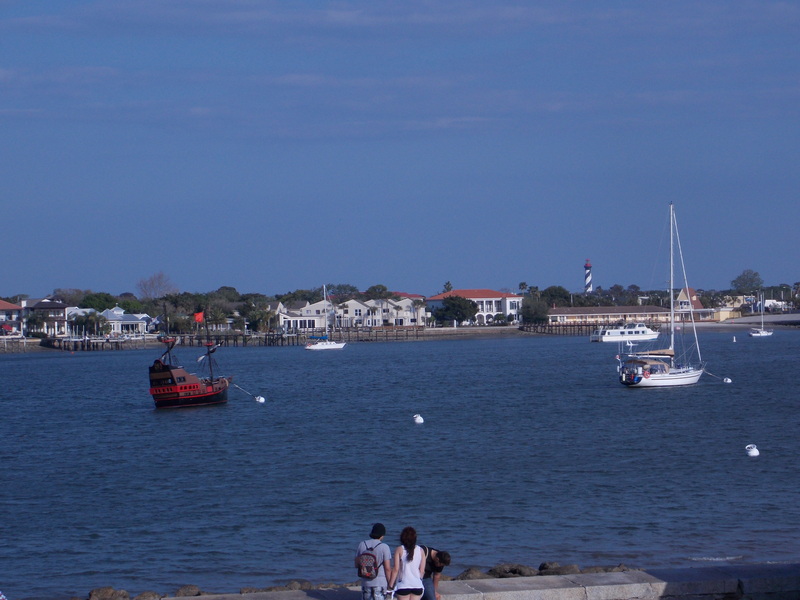 September 8, 1565 Admiral Pedro Menendez de Aviles came ashore and founded the city he called St. Augustine, as a Spanish military base; roughly the in the same area Ponce and his crew landed. 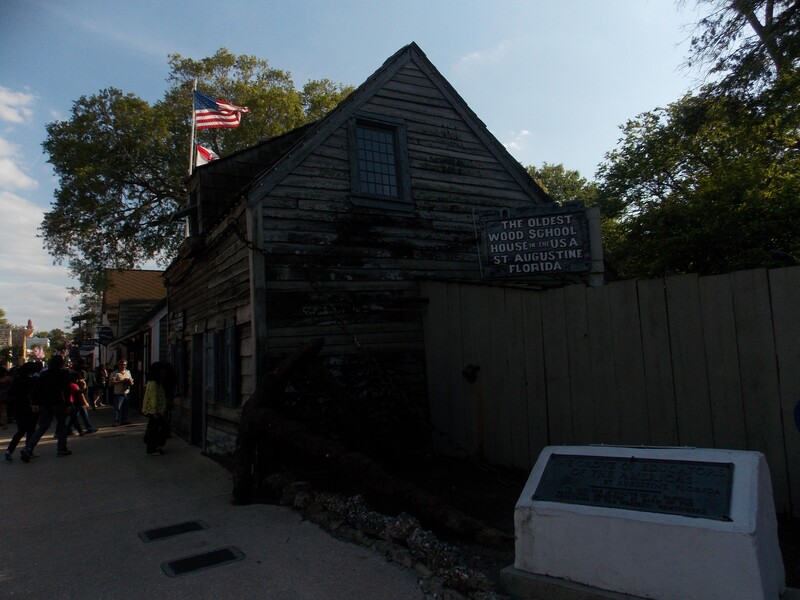 The oldest city in what is now the United States is still kicking at almost 450 years. 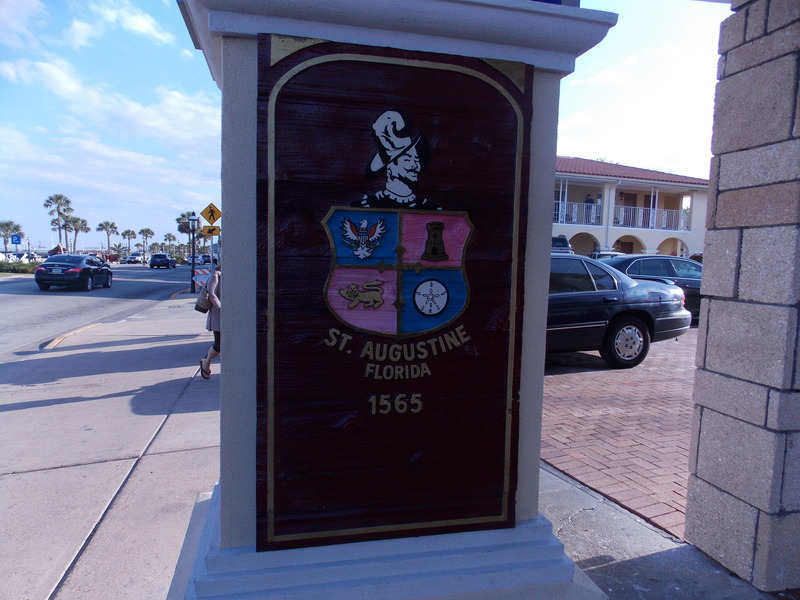 This year the city of St. Augustine celebrates Florida with a lot of activities. From educational presentations at Flagler College to art shows, re-enactments, a Commemorative Mass and festivals there is plenty to do in St. Augustine. 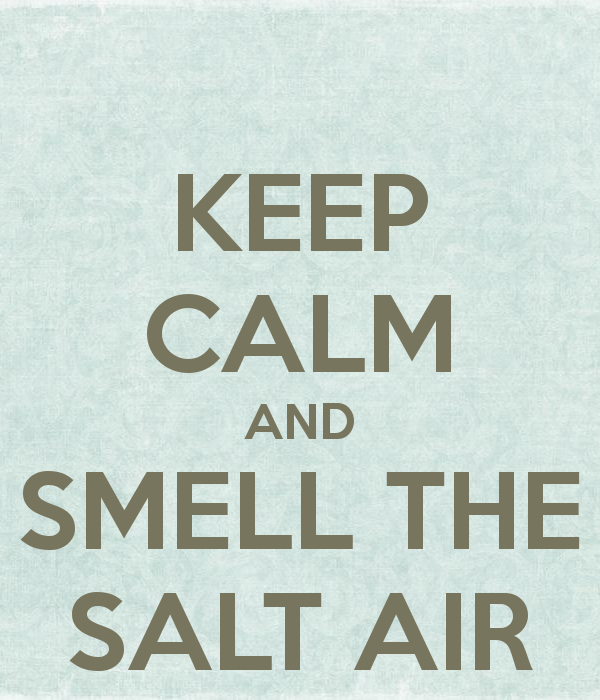 Then in 2015, the city will celebrate its own birthday with more things to do. Make plans early if you plan to attend. We had the opportunity to visit briefly over Easter weekend and the city was buzzing. Streets were overflowing with visitors and hotel rooms were not available. We lucked out taking a cancellation at the Holiday Inn. 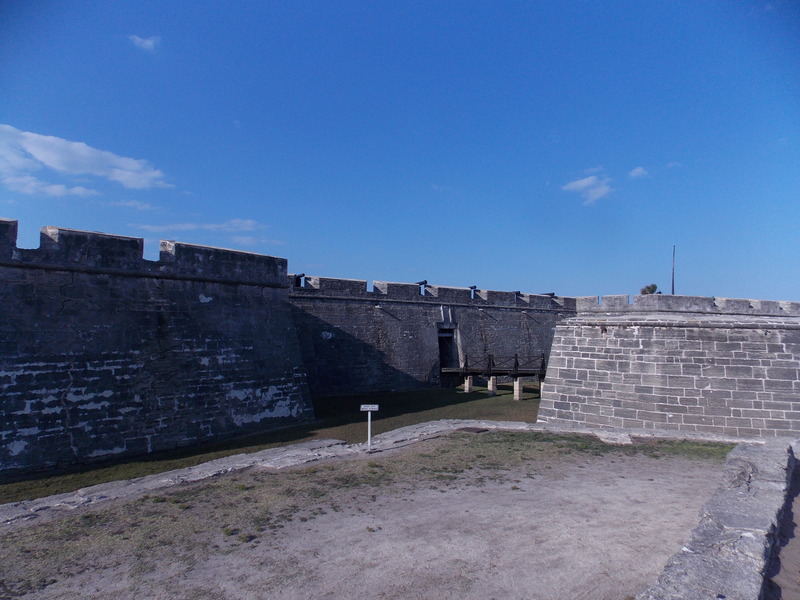 We walked around the fort, strolled down the historic district in and out of the shops, checked out the cemetery, saw the “Oldest Schoolhouse in America”, listened in (briefly) on a ghost tour, visited art galleries (I found my new favorite), bought a book called “Ghosts & Gravestones in St Augustine FL, and ate dinner at The Floridian. For dessert Travis went to the macaroon store while Gary and Austin had chocolate-coated popsicles. A little further south, the Brevard Zoo is hosting “Art of Sand”, a unique sand sculpture exhibit representing the timeline history of Florida. We didn’t get to see it, unfortunately, but it’s open through Memorial Day 2013 so if you get a chance to see it please send me some photos. There is so much to do and see and frankly I would like to have spent more time. I could just go back. 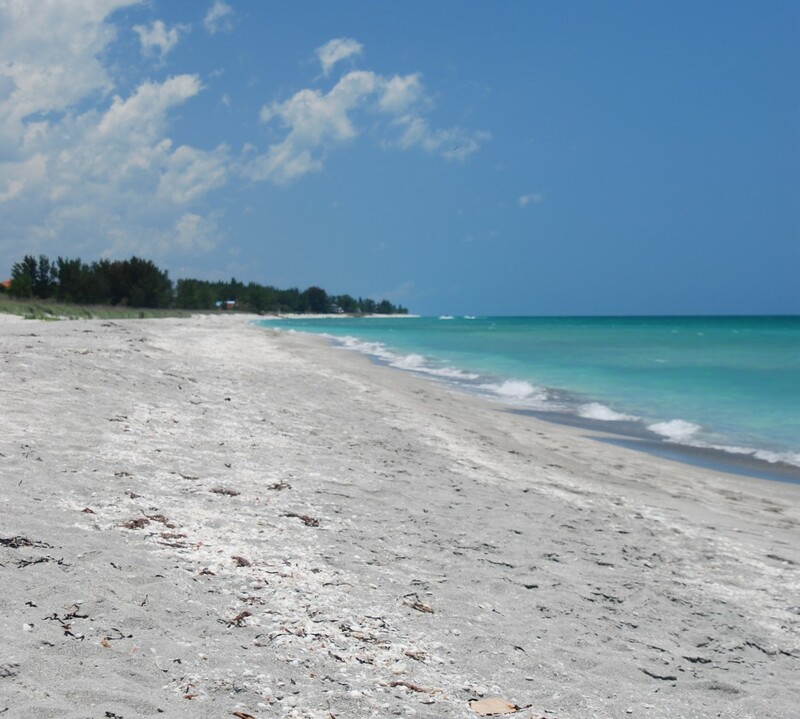 Contact the Travel and Tourism in FL for more state-wide activities.